25 Years of Progress in Geoscience Education: Major events, reports, and resources that have provided the vision and laid the foundation for 25 years of progress in geoscience education, by D. Mogk. Bringing Research on Learning to the Geosciences (i.e., the Wingspread report (Acrobat (PDF) 879kB Sep3 16)), (2003) by C.A. Manduca, D. Mogk, and N. Stilling. How Geoscientists Think and Learn (2009) Kastens, K., C.A. Manduca, C. Cervato, R. Frodeman, C. Goodwin, L.S. Lieben, D.W. Mogk, T.C. Spangler, N.A. Stillings, and S. Titus, Eos Trans. AGU, 90(31), 265. Earth and Mind II: A Synthesis of Research on Thinking and Learning in the Geosciences (2012) Edited by K. Kastens, and C.A. Manduca, GSA Special Paper 486. Slater, T.F., Slater, S.J., and Bailey, J.M., (2011). 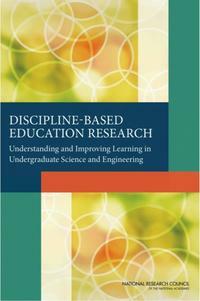 Discipline Based Education Research: A Guide for Scientists. Freeman, 211p. 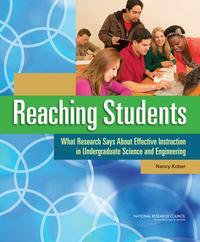 Framework for K-12 Science Education: Practices, Crosscutting Concepts, and Core Ideas , (2002). IRIS Encouraging Networks between Geoscience and geoscience Education (ENGAGE) Workshop and report. This workshop was designed to catalyze relationships, understandings, and collaborations between early career disciplinary researchers in the earth, atmospheric, ocean, and polar sciences and scientific discipline based education researchers (DBERs) in the geosciences. Lewis, E. and D.R. Baker (2009). A Call for a New Geoscience Education Research Agenda. Journal of Research in Science Teaching 47:2 (2010), pp. 121–129. The authors pose research questions, highligh sociocultural theories, and provide examples of other science education research as possible avenues by which to explore the interrelated problems facing geoscience education at the secondary and tertiary levels.